North Goa has always been more popular among the tourists. The vibrancy of Candolim, Baga and Calangute beaches is sure to attract anyone. If you are planning for a relaxing beach holiday in India, pack your bag and head towards Goa. The peak season in Goa is from November to January. That also happens to be the marriage season in North India. 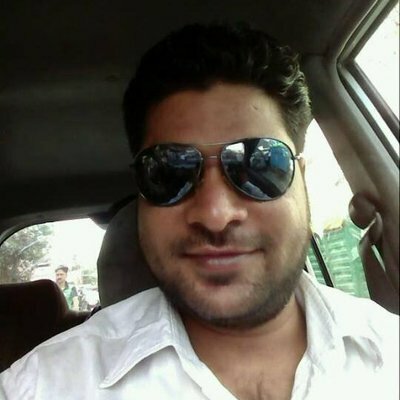 If you go in the winter season, you will see a lot of honeymooning couple holidaying in Goa. If you are looking for some resorts near Calangute beach, here are the best options to check out. Resort De Coracao – One of the most elegant resorts near Calangute, De Coracao provides you a complete package and an unparalleled experience of your stay in this full of fun and joy place. Enjoy the nightlife of Goa and the adventurous sports by the ocean. There is an in-house restaurant that offers you delicious seafood. There is a fitness center, banquet hall and swimming pool so that you can have the best experience of your stay in Goa. Chalston Beach Resort–It is at a walking distance from the Calangute beach and one of the first resorts built on this beach. The resort is surrounded by the green garden and offers four types of room – standard ac, standard large ac, and superior ac rooms, the fourth option being excellent garden cottages. Here, you can enjoy multi-cuisine at all times that include breakfast, lunch, snacks, and dinner. Cocktails and drinks are always available. You can relax on sunbeds during the day time near the sea or pool. These sunbeds will be replaced in the evening with chairs to enjoy the Goa sunset. 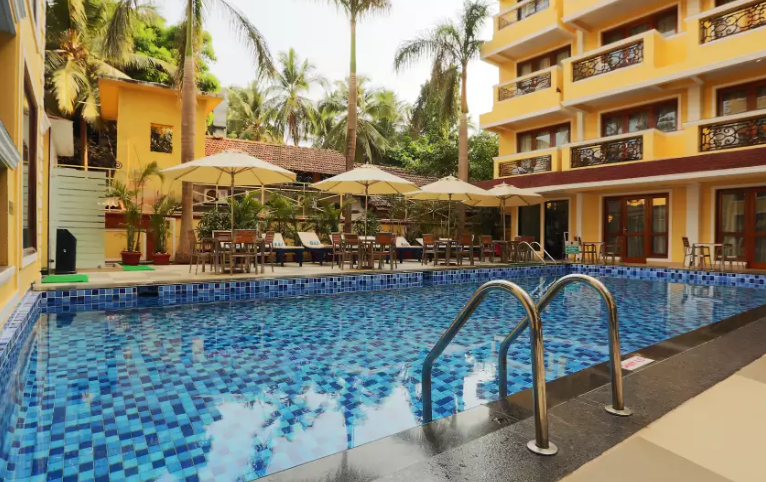 The Park Calangute Goa – This resort provides you a stylish, luxurious and lavish setting which is more modern and equipped with wifi and iPod Dockets in all room. The rooms look classy as the color is white with a purple hue. It has an open kitchen and offers you a relaxing ambiance near the ocean. The resort provides the ultimate party playgrounds to the visitors. Little India Beach Cottages – It’s a small and cozy property that offers you affordable cottages. The cottages provide you well-planned rooms with Indian style furnishing. It is a quiet place with pleasant staff. This place is best if you are looking for a peaceful stay by the sea. The property is clean and well maintained. Estrela Do Mar Beach Resort – A vibrant place with comfy rooms. It is near to the Calangute beach and offers well-decorated rooms and the open dining area. The hospitality is excellent, and the staff is well trained. The open dining area is something you will remember after your trip. Enjoy the best of Goa cuisines – the seafood, kingfish and the relaxing cocktails that go with the mood of the place. Here, you can enjoy a relaxing time with your family and friends. Paradise Village Beach Resort – The swaying palms surround this resort on the golden sea makes for a perfect scene. It has all the things you look for in Goa, from good food, drinks, daybeds and relaxing holidaying experience by the sea. This resort offers – studio room, suite room, indulgence suite, and beach cottage. You can also choose this place for your destination wedding or business conferences. Calangute Residency – This property situated on the golden sands of the Calangute beach. The rooms give you the perfect view of the seasides. It offers comfy and spacious rooms. If one wants to explore Goa, it’s better to go there for at least a week-long holiday. The relaxing atmosphere can felt once you come out of the airport. The scenic beauty, palm trees and hopefully some great Goa music in the taxi will welcome you to the place.